The kit includes parts to create an 8.5-inch kaleidoscope, plus colored pencils and two nature drawings that can be colored and used as wrappers. A variety of natural objects are included that can be used as the basis for the kaleidoscope: dried flowers, polished gemstones, glass marbles and minerals. 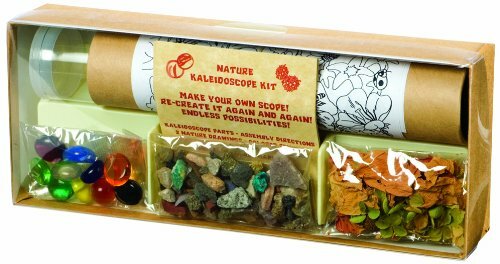 The Toysmith Nature Kaleidoscope Kit creates a fun and functional kaleidoscope that draws its beauty directly from nature. 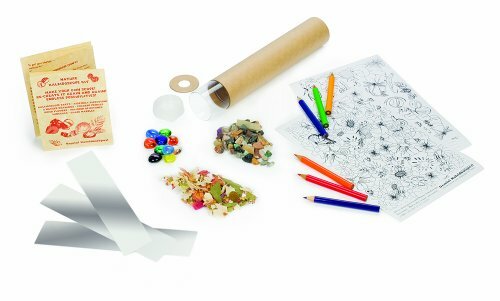 The kit includes parts to create an 8.5-inch kaleidoscope, plus colored pencils and two nature drawings that can be colored and used as wrappers. 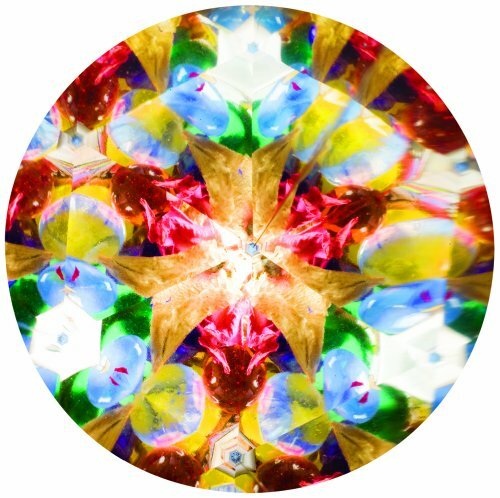 A variety of natural objects are included that can be used as the basis for the kaleidoscope: dried flowers, polished gemstones, glass marbles and minerals. Detailed assembly instructions included. The kaleidoscope can be taken apart and re-filled with new objects as desired. Recommended for ages 7 years and up. The kaleidoscope can be taken apart and re-filled with new objects as desired. Your all right ,great gift for the kids buying afew of them I enjoy to. Educational kits like this are great gifts for any child old enough to use them. You can never go wrong getting a gift that stimulates a young person’s thought process. This is a great Christmas gift for my grand Kids I don’t think the ever had one of them. I bought this for my niece. She absolutely loved putting it together. Way to go Auntie!!!!!! Great price! This is very good kit for kids of 7 years and more. Creating and using their own kaleidoscope is really interesting for them and this encourage them into creating things like crafts, recycling of things. Good value for the money you pay.